With the approach of the holidays in the northeast, this also means that winter weather is not far behind. 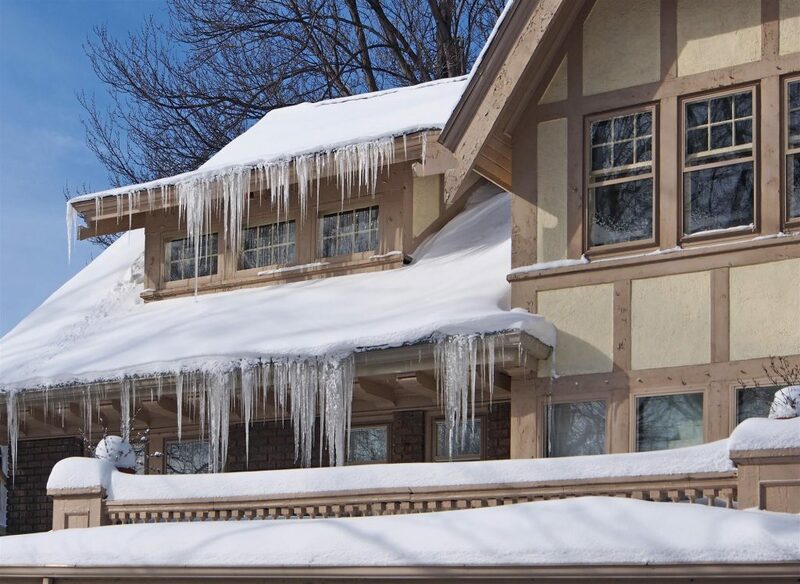 Wind, cold, ice and snow can wreak havoc on roofs, gutters, windows and siding. Here are a few quick tips that could be big money savers as we brace for Old Man Winter. If you are like most homeowners, the last time a professional looked at your roof was either when it was last repaired or replaced or, worse, when you had your home inspected for purchase. In the latter situation, it was most likely a home inspector that provided the thumbs up, and while great at what they do, roofs are not their fulltime livelihood. Snow and ice can create big problems when it comes to failing or damaged roofs. Ice can dam up and expand when it freezes, causing a roof to crack and fail. Ultimately, when the snow or ice melts, the water then finds its way in and that’s when the real damage is felt. If you are lucky, you will notice the leak quickly, but most likely, you will not and, over time, more and more water finds its way into your home and the damage can be exreme. Make the call to get your roof inspected, it will pay off in the end and provide that piece of mind for the winter. Take it from the experts. Fall foliage can be beautiful, but it can also create some serious problems. Leaves can find their way into drainpipes and gutters and cause these critical systems to fail at the time we need them most. Winter can then bring driving rain. Snow and ice melts. In the Philadelphia area, precipitation is consistent from month to month, so the winter offers no relief. Unfortunately, if we do not keep the gutter and drainpipes that help to sweep the water away clear, water can build up and then find its way through fascia and down into walls and foundations. This can cause drywall damage, rot and in worst cases, mold can build up sight unseen. Aren’t our families worth the time it takes to clear out gutters to keep them safe? How can you be sure that your gutters are still in good shape and may not need to be repaired or replaced? Do not be hesitant to contact a local roofing company to look at your existing gutters. It will only help to save you aggravation in the long run. Missing shingles, failing flashing and outdated roofs can all be disasters waiting to happen. Yes, it is the holiday season and sometimes our focus on spending is gifts, parties, friends and loved ones, but putting off a roof repair or replacement that you know you need may only lead to more problems before you know it. Leaks can cause interior damage to ceilings and walls. In some cases, fire places and other exhaust pipes can cause water to flood areas of your home. If this happens, you are stuck with not just the need for a new roof, but now the interior of your home has damage as well. Best case scenario, your insurance covers it. If it does not, negligence has lead you to an even bigger headache. 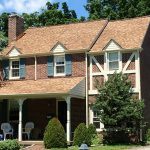 Don’t procrastinate and take care of the failing roof you know you need to replace before the winter weather destroys it. So, as the holidays approach, give yourself and your family a gift: peace of mind and protection. Contact us today for your inspection and free estimates. We care about your home and your family and we are here to help!